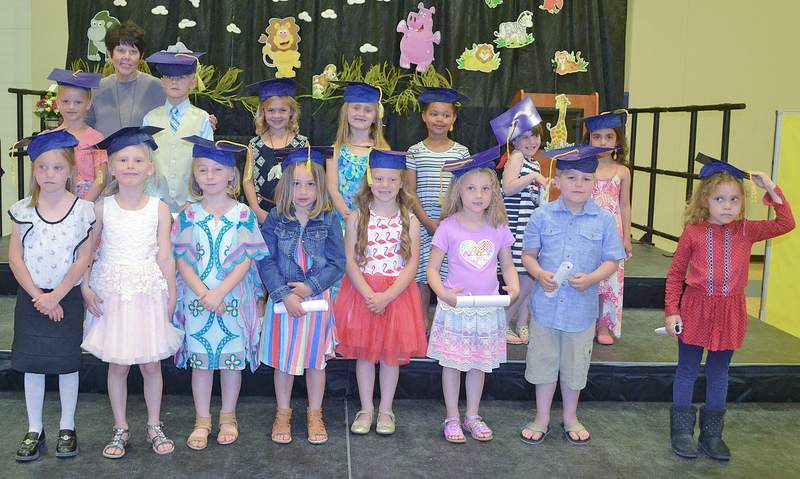 The Wall Kindergarten Class of 2017 held their graduation on Wednesday, May 24. Graduates are back row from left: Ciara Cerney, Mrs. Marlie Trask, Breckin Buhmann, Zoe Poseley, MiKaylee Luedeman, Reagan Carlbom, Ayla Edmonds, Sadie Gewerth. Front row: Honor Vernon, Khloe Kitterman, Molly Bryant, Hallie Handcock, Taityn Shearer, Moriah Geigle, Seth Hardisty, Tora Meeks.